Perfect for Back to School. Let’s get organized! 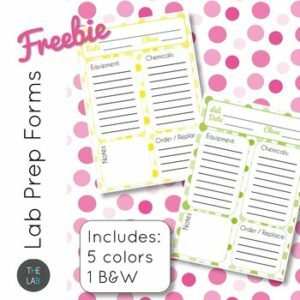 Colorful forms to use while preparing for labs. Includes 5 different colors and 1 B&W version. I use different colors for my different classes. Keep them on a mini clipboard for easy access.